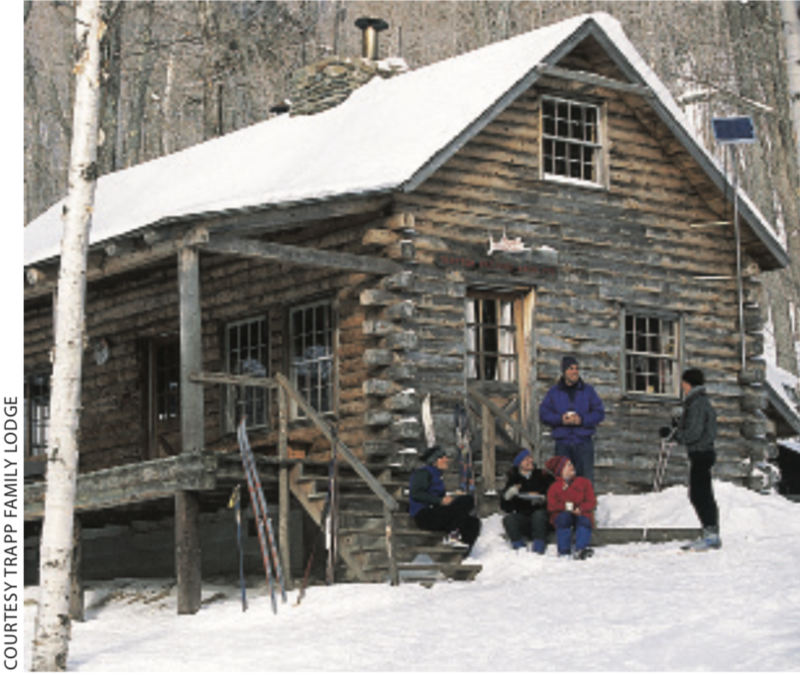 Trapp Family Lodge in Stowe, Vermont—the United States’ first commercial cross-country touring center—will celebrate its 50th anniversary from January 19–26, 2018. ISHA members are invited and will be offered discounted trail passes and lodging (see details below). From the opening reception at the property’s Bierhall through a farewell breakfast, the weeklong schedule includes antique ski outings, a torchlight ski, an alumni and champions dinner, parties and several chances to ski with the von Trapp family. The story of how the von Trapps escaped from Nazi-occupied Austria and arrived in America is immortalized in the 1965 movie The Sound of Music. After touring the United States as a family singing group, they settled in Stowe and in 1950 opened a rustic 27-room guest lodge. As John Fry recounts in his book The Story of Modern Skiing (University Press of New England), in 1968 Baroness Maria von Trapp’s youngest child, Johannes, had a bright idea. Why couldn’t cross-country skiing, practiced informally for years on hiking trails and farmer’s fields, be made into a recreation that people would pay to do, like they paid for alpine skiing? As it happened, the lodge possessed several hundred acres of forested upland. Johannes blazed and cut a network of trails through the woods, and then charged people to ski on them. He recruited Per Sorlie, an instructor from Norway, to teach them the technique of kicking off one ski and gliding on the other. Guests could ski to a hut in the woods, bringing lunch. The idea took off. Today, Trapps is one of North America’s premier nordic skiing destinations, with 37 miles of groomed trails, 62 miles of backcountry trails, snowmaking, cabins and a full-service nordic center. ISHA members are eligible for a 20 percent discount off the best available rate to stay at Trapp Family Lodge in Stowe, Vermont during its 50th anniversary celebration week. The rate applies only to stays Sunday, January 21 through Thursday, January 25. Friday and Saturday nights are not eligible for the discount. A free day pass for skiing is included for lodge guests. ISHA members who are not staying at Trapp can purchase a day ski pass for 50% off. To book a room, call 800.826.7000 and mention the ISHA rate.